Located in San Francisco’s famous North Beach, Cobb’s offers a taste of old San Francisco and the city’s ever-changing nightlife. Originally known as Cobb’s Pub, the comedy haven was first established in the Marina District, before relocating to Fisherman’s Wharf, then ultimately settling into its current Columbus Ave. home. The 400-seat venue offers a full dinner menu and full-service bar. Headliners who perform at Cobb’s Comedy Club are regular guests on The Tonight Show and The Late Show with David Letterman. 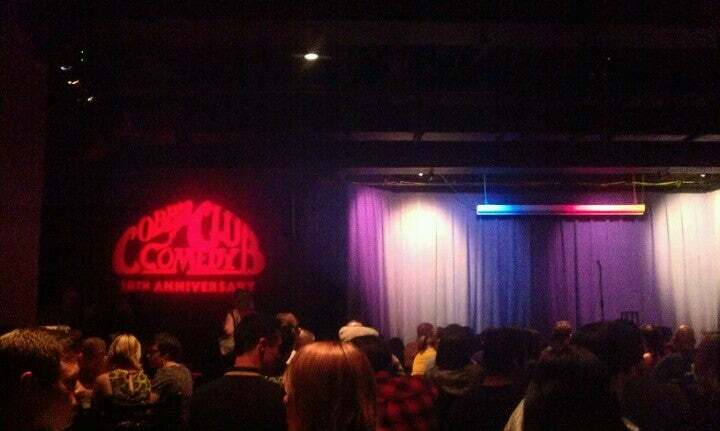 Acts like Dave Chappelle, Bill Burr and Louis CK have all graced the club’s stage. The venue requires a two-beverage minimum purchase per person. You must be age 18 or older to attend this show. They have a metal detector. several garages are within walking distance. I would get to the venue early. The weather was cool. I wore jeans. The weather was chilly. I wore A jacket because San Francisco weather is cooler than the east bay.. I wore coat for the SF weather, esp for waiting in line..